Air Zig-Zag Separator 3-M provides extremely good results in cleaning. During the process of cleaning, the machine does not damage the material and enables continual process. Air Zig-Zag Separator 3-M is very reliable. It does not jam and gives good quality leafy material. The machine is quiet and does not produce vibrations and dust. 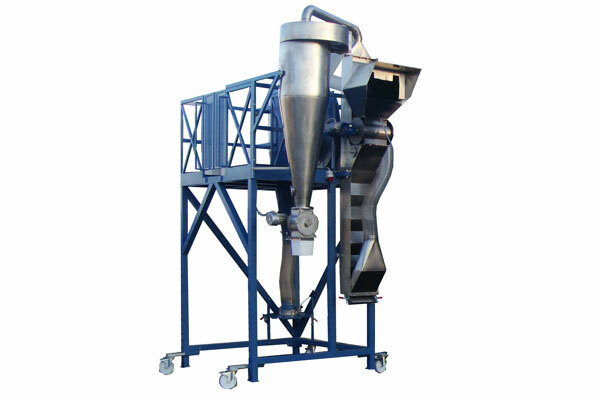 All parts of the air separator are placed on wheels providing the possibility for easy moving. 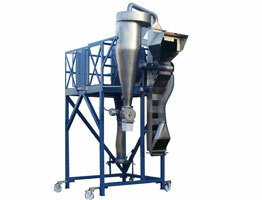 Air Zig-Zag Separator 3-M has a cyclone for collecting dust. Gives extremelly good results in separation of oregano, basil, rose hips, cilantro, rosemary and similar types. 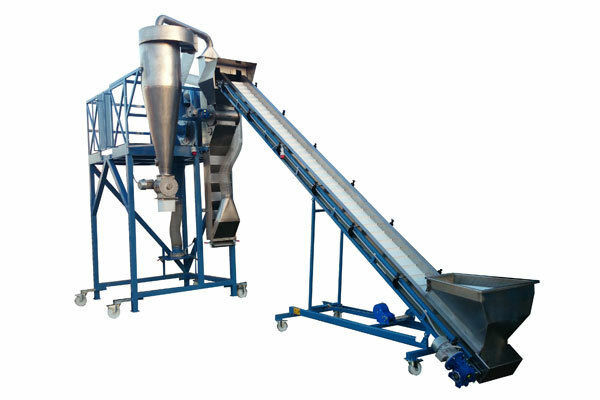 Belt conveyor - VARIO 604 with appropriate length and angle of inclination are used for continual material feeding into Zig-Zag inlet box. Our recommendation is to use belt conveyors which are not damaging material during transport. 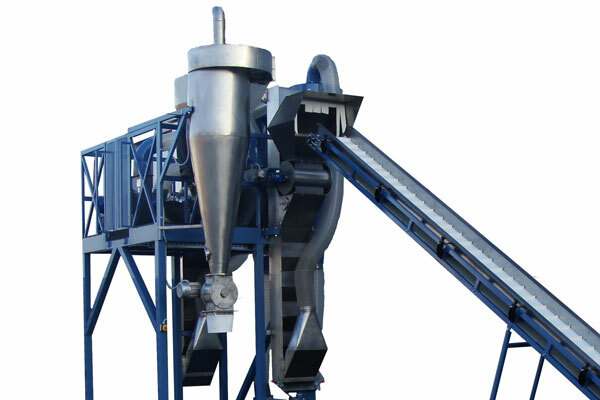 For the input in Zig-Zag air selector, we can offer you belt conveyor VARIO 604, 6.3m long with ribs, equipped with frequency digital regulator which is used for adjusting the belt speed and quantity of material. This is very important in order to achieve maximal efficiency of Zig-Zag machines and best quality of processed herbs. All belt conveyors are set on wheels and have the mechanism for continual angle adjustments (inclination).